What’s known as the Northern Lights Dream Tour might have lasted a week, but for Chris Phillips, the experience will last a lifetime. Phillips, along with other NHLPA members, recently trekked to Northwest Territories and Yukon, to play hockey in front of appreciative and enthusiastic crowds at venues across Canada’s north. The Tour, which last four days, departed from Edmonton and made stops along the way in Yellowknife, Deline, Inuvik and Whitehorse. And while the veteran defenceman, who was accompanied by his nine-year-old son, Ben, expected it to be a memorable journey for both, Phillips never truly anticipated just how impactful his time in the Canadian north would prove to be. The veteran of 1,025 NHL now has plenty of stories to share – and some he’d rather not – with family and friends. 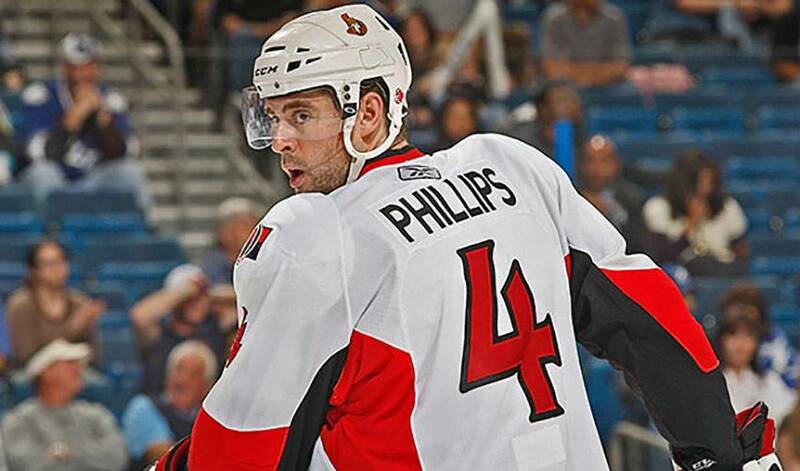 “We were able to do and see things you never really thought possible,” offered Phillips, who was joined by some of his Ottawa teammates on the trip. “It was never dull for a second. When the chance came to do this, I asked if I could bring my son along. I wanted it to be something we could share together. Phillips will be able to do the same. He might, however, try and keep one of the times he participated in traditional customs, including a Native Canadian dance, out of the conversation. Although hockey was front and centre throughout the tour, each and every player involved, Phillips included, likely won’t remember the goals scored or the final outcome of the games. And that suits them just fine. On Monday, the NHLPA Goals & Dreams fund celebrated the second stop on its 15th Anniversary Tour in Ottawa, Ontario. Citizens across Canada can help enrich the lives of Inuit children by filling up virtual hockey bags that Project North will turn into the real thing for kids in northern communities. For some hockey players, the pressure and the ample amount of distractions are too much to play professionally in their hometown.